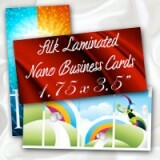 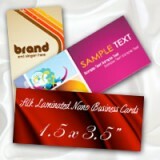 Nano Silk Laminated business cards are new in the market and have elegant and unique texture. 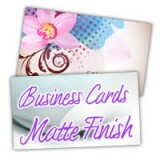 They come in 16PT extra heavy card stock full color options and are laminated with special material that gives the cards a very pleasant Silky texture. 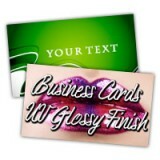 These cards are fun to write on and are tear and water resistant.